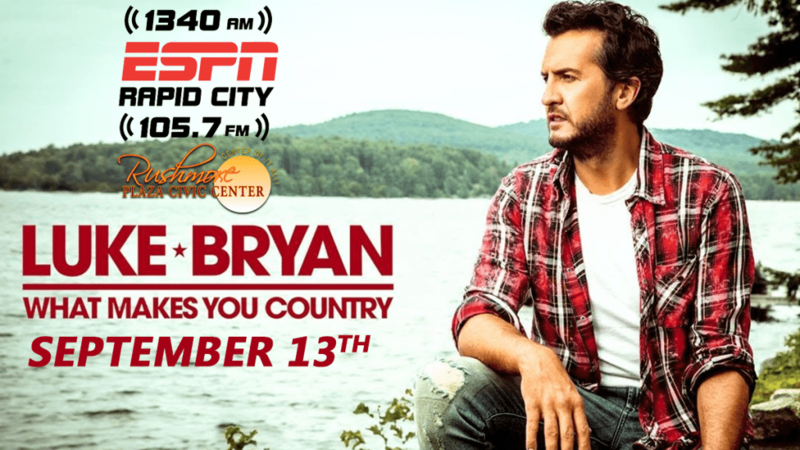 Luke Bryan is bringing his What Makes You Country Tour to the Rushmore Plaza Civic Center on September 13, with special guests Jon Pardi & Carly Pearce. Ticket go on sale at Friday, March 23 at 10am at gotmine.com. There will be a pre-sale for tickets on Thursday, March 22 from 10a-10p. Use this promo code for the pre-sale: LUKE2018. ESPN Rapid City has your chance to win tickets to the show! Fill out the form below for your chance to win tickets!